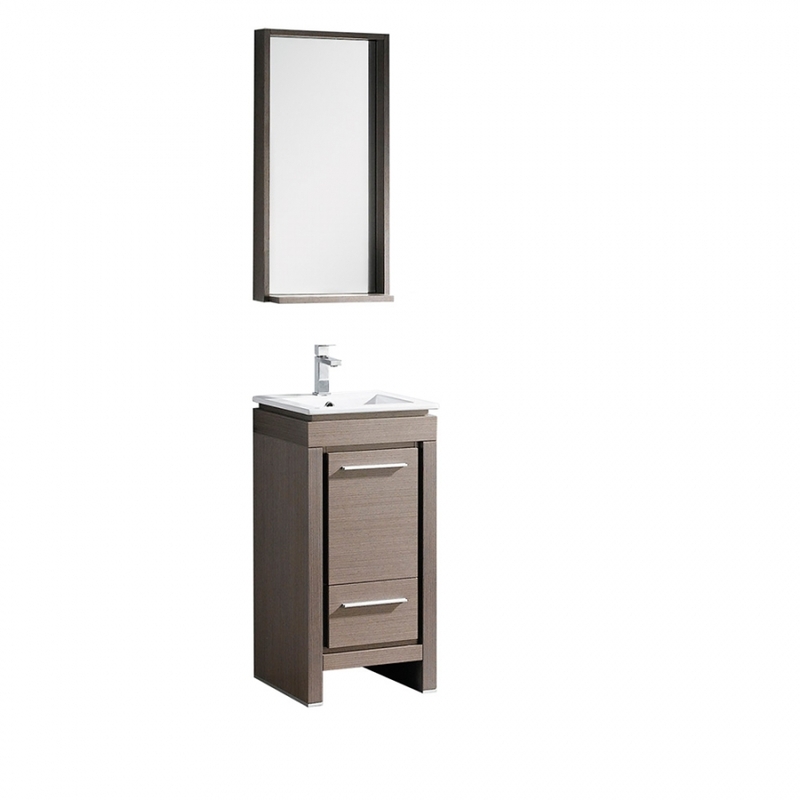 This slim gray oak vanity is the perfect choice when you need to add a bit of luxury and style to a small bath or wash space. 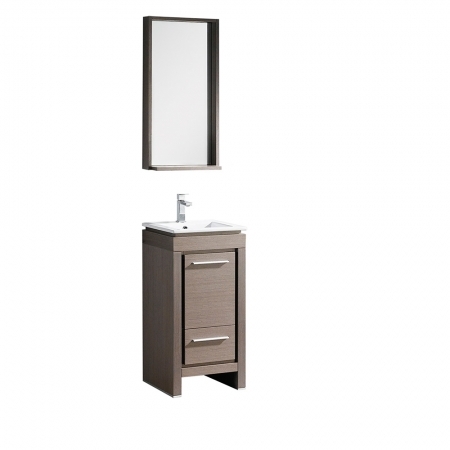 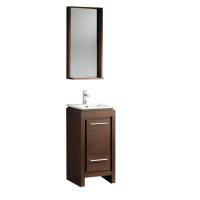 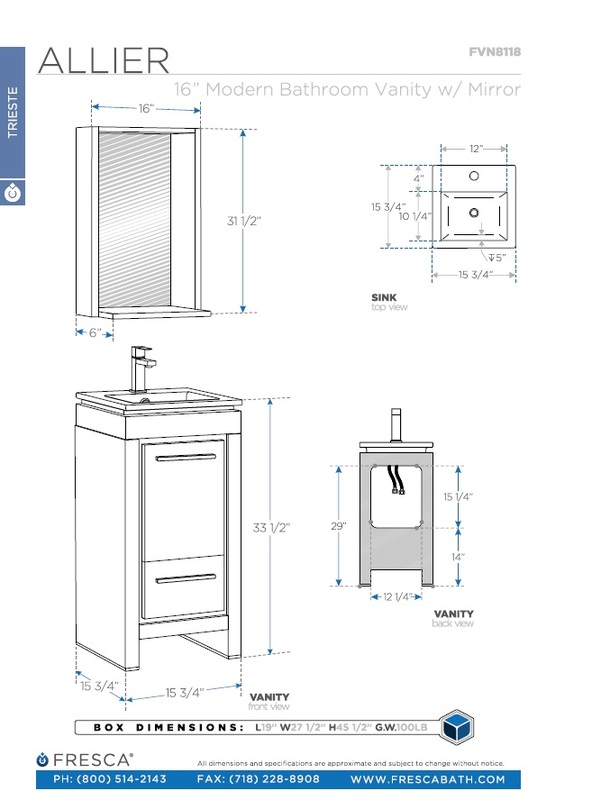 The vanity is fully functional and features an integrated sink, a storage drawer and an under sink cabinet. 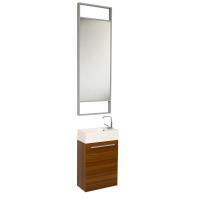 To add to the value, you also get a matching mirror and fixtures for a full set.